Is the Pentagon Getting Ready to Dump GPS? 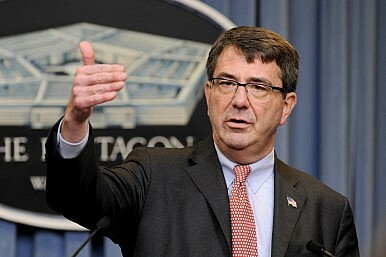 The US Defense Secretary wants the DoD to rid itself off the vulnerable technology. During last week’s visit to Silicon Valley, U.S. Defense Secretary Ashton Cater voiced his deep dissatisfaction with one of the Pentagon’s most prized innovations – the Global Positioning System (GPS). One of Carter’s principal objections to GPS are the huge financial costs involved in maintaining the capability. The Pentagon is responsible for at least 24 operational GPS satellites in space transmitting signals, according to National Defense Magazine. A U.S. defense contractor is already in the process of building additional eight GPS-3 satellites, the first of which is scheduled to launch in 2017. From GPS-guided missiles (e.g., the Tomahawk), fighter jets, and infantry units to armored vehicles, and howitzers, the U.S. military has increasingly become dependent on GPS for accurate and precise positioning, navigation and timing (PNT). However, GPS lacks adequate backup or complementary systems, making the U.S. military’s PNT capabilities vulnerable as threats to GPS have evolved at a rapid pace. Ashton Carter wants to replace the current GPS with a cheaper “GPS of things” where “[o]bjects, including our military systems, keep track of their position, orientation, and time from the moment they are created with no need for updates from satellites (…)“And pretty soon I won’t be launching any more of those satellites,” he said in the interview. The U.S. Army and the Defense Advanced Research Projects Agency (DARPA) have been exploring alternate options to GPS way before Carter’s remarks and have also been working to make GPS more resilient and effective. One example is the U.S. Army’s Assured PNT program, where the army is exploring the use of small accelerometers, atomic clocks, and inertial navigation systems among other things as alternative technologies to the current military GPS in use. “The goal of Assured PNT is not to be ‘independent of GPS.’ In the Army, we think of PNT as a capability and GPS as one of many material solutions that provide a capability,” according to Christopher Brown, assistant program manager Dismounted PNT within the Assured PNT program. The DARPA has been going even further and started exploring “novel approaches to PNT such as penny-sized inertial sensors, pulsed lasers and tracked lightning strikes to provide precise location-based insights in GPS-denied areas,” according to C4ISR & Networks. “Position, navigation, and timing are as essential as oxygen for our military operators. Now we are putting new physics, new devices, and new algorithms on the job so our people and our systems can break free of their reliance on GPS,”notes DARPA Director Arati Prabhakar. Some of the alternatives technologies under development with DARPA are Adaptable Navigation Systems (ANS), Microtechnology for Positioning, Navigation and Timing (Micro-PNT), and Quantum-Assisted Sensing and Readout (QuASAR). Research programs that are exploring means to reduce GPS dependency include the Spatial, Temporal and Orientation Information in Contested Environments (STOIC) program, as well as the the Program in Ultrafast Laser Science and Engineering (PULSE) C4ISR & Networks reports. US Navy Is Speed Testing Sub-Hunting Robot Ship US Army Orders New Armored Fighting VehiclePentagon Wants 'Arsenal Planes' to Beat China's Air DefensesWorld’s Largest Anti-Submarine Robot Ship Ready for Sea-Trials in April Can the Littoral Combat Ship Really Put an ‘Enemy Fleet on the Bottom of the Ocean’?